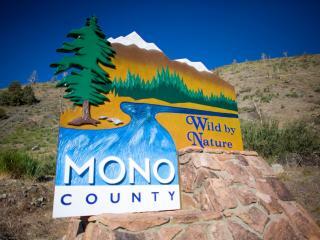 Temperate temperatures and terrific terrain make Mono County the ideal biking destination. Whether you ride single-track routes through the forest or take advantage of lift-assisted Mammoth Mountain Bike Park, Mono County is a Mecca for Mountain Bikers. For road bikers, smooth asphalt roads with minimal traffic and awe-inspiring views make this a cycling paradise. We&apos;ve assembled our tops picks for rides, shops and rentals, and biking events. Whether you seek heart pounding adventure on a downhill mountain bike, or a smooth cruise on the pavement, Mono County has a ride for you!